C. S. Lewis, “On the Reading of Old Books,” preface to Athanasius, On the Incarnation. 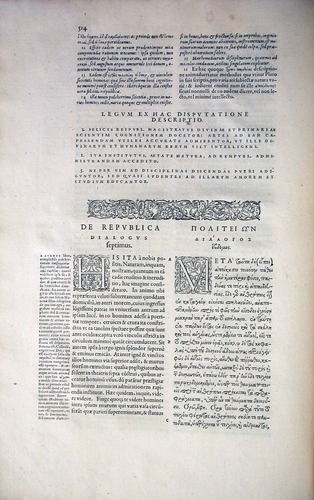 Above: First page of The Republic from the first Estienne edition. Plato, Opera (Geneva, 1578), 2 vols. The standard practice for citing passages in Plato is based on the pages and line numbers of this edition. You can read this and many other old books in the OU History of Science Collections. This entry was posted in Book quotes, History of Science. Bookmark the permalink.